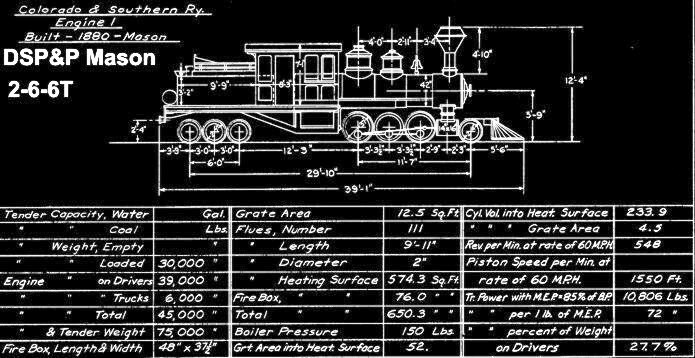 The plans on this page are from the Colorado and Southern folio drawings, as the cars and locomotives appeared around 1901 to 1906. 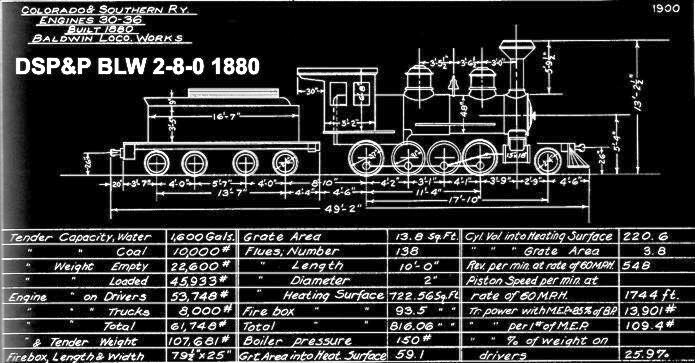 The drawings are useful for body dimensions and general layout, but there were many modifications between the mid 1880's and 1906. 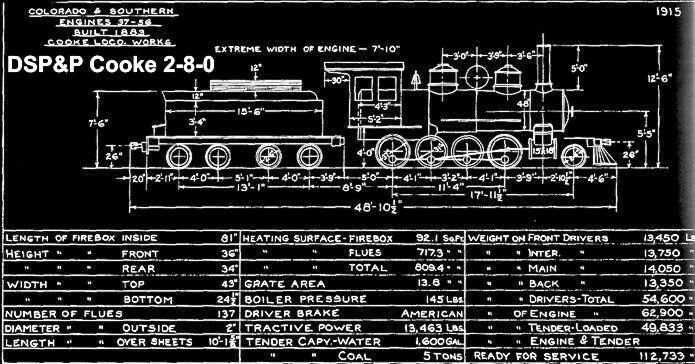 On locomotives, smoke stacks, headlights, air pumps, and other fittings were updated from time to time. 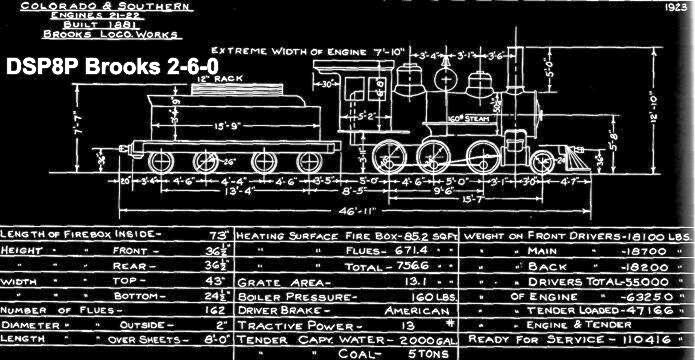 Even cabs, boilers, and tenders were swapped out, so these drawings do not represent a particular locomotive at a particular time. Research the available photos to be sure of the details. 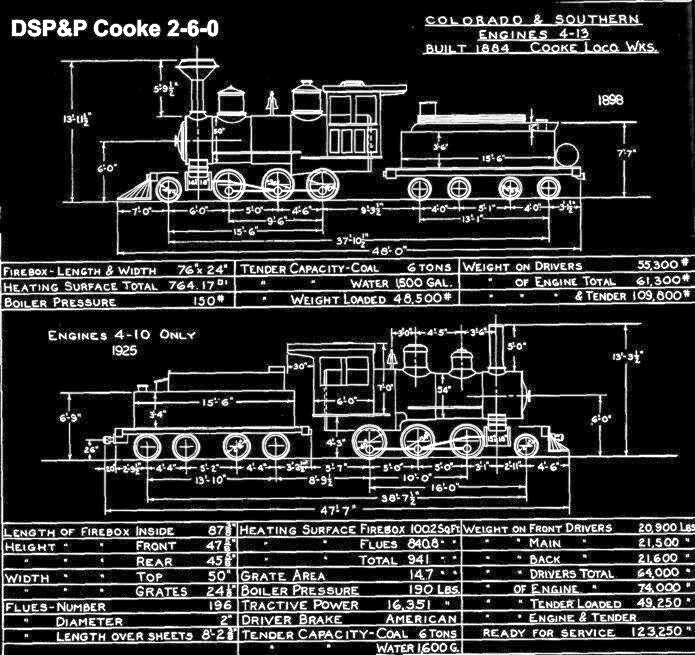 Photos, scale plans, history, and models of DSP&P rolling stock appear on other pages of this website -- see Site Navigation.